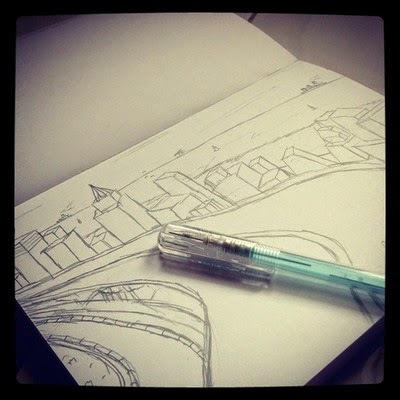 This is what I do when I get Bored or inspired by some kind of Horizontal View of City. This small sketch book and an ordinary mechanic pencil will always be my friend as long as it works. 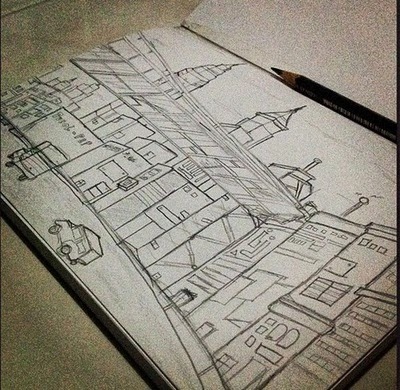 I name it "Road to life from Life"
The first one that I sketched in my Sketch book. Unfinished yet. I shot this when I went to Hongkong. Another sketch about urban, that book (rumah kota kita) from Marco k wijaya,inspired me to sketch about this "city of Hoax" where it invites us but it'll trap us. Back again with my little sketch book & pencil. I hope what Lewis Mumford said could be wrong. "Will a megaloplis city turn to be a necropolis? " Just wait. 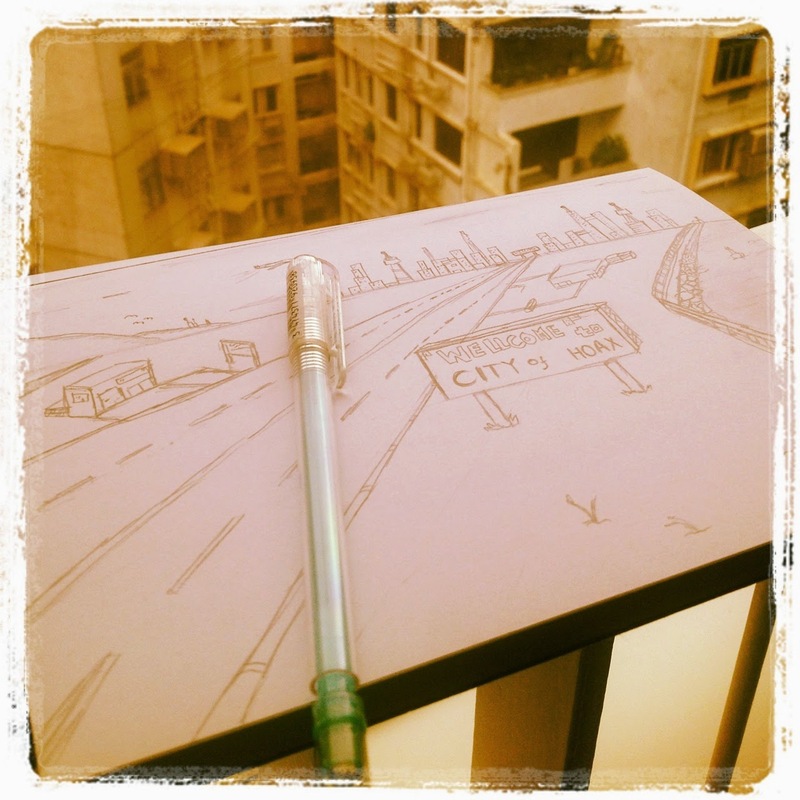 These are some of my sketches that you can enjoy. Not good enough, but maybe it represents on what I think at that time.